Ever since the dawn of time, man has constantly been finding new ways of entertaining himself, continuously re-defining the word fun, and it seems that we always seek for more. Nothing is ever funny enough, beautiful enough, awkward enough or scary enough for our species, thus we have always been pushing the envelope called entertainment and breaking the boundaries of what is supposed to bring us pleasure and amusement. However, tragedy is perhaps the strongest among all forms of entertainment and for some reason human race have found many sadistic ways to not only entertain ourselves, but strive to push ourselves to the extremes when it comes to experiencing fear. Why? Because that very fear gives us the coveted adrenaline rush that reminds us we are truly alive. So, here’s the list of 15 most scary and disturbing movies that changed cinematic entertainment when it comes to thrillers or horror movies. Prepare for some minor spoilers and some major goose bumps. This supernatural horror film was directed by William Friedkin and it was adapted by William Peter Blatty from his 1971 novel of the same name. The book, inspired by the 1949 exorcism case of Roland Doe, deals with the demonic possession of a 12-year-old girl and her mother’s desperate attempts to win back her child through an exorcism conducted by two priests. 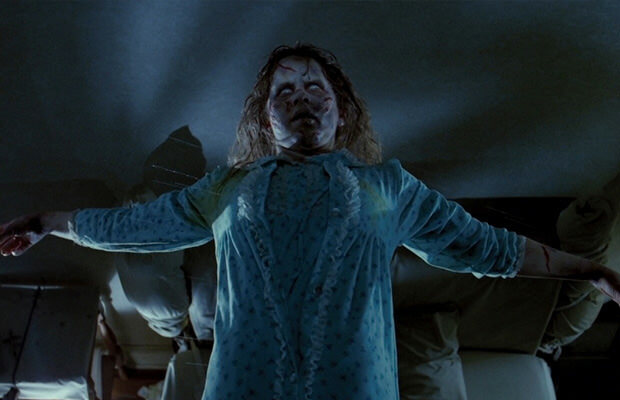 Most disturbing scene happens when be-devilled child Regan MacNeil stabs her crotch with none other but a metal crucifix and starts screaming some insane abominations (which are too much, even for this article) in a deep and inhuman voice.